No matter what your spouse has done during your marriage, he is entitled to receive notice of the divorce action and to participate in the proceedings. 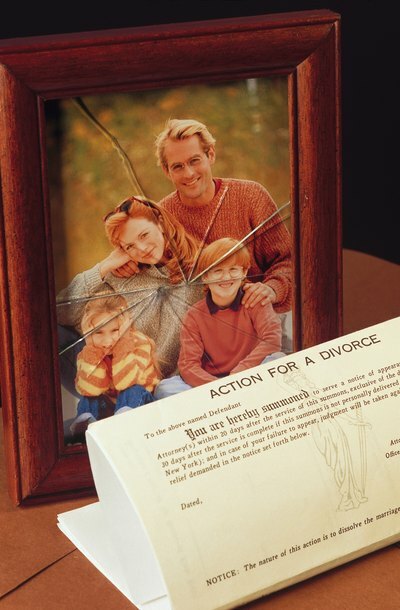 Most states require that you give a copy of your divorce complaint or petition to your spouse, together with a summons and other court documents that set forth the time frame for him to file a response. You cannot proceed with your divorce until you have fulfilled your state's service requirements. Options for service vary among states. One simple method allowed in many states is to hand or mail your spouse the divorce papers and ask him to sign and return a document acknowledging that he received them. Alternatively, you can serve the papers by a sheriff's deputy -- or, in some states, a third party -- who signs an affidavit swearing to the court that she handed the papers to your spouse and specifying where and when it was done. In some states you can also serve divorce papers by sending them via registered mail to your spouse. When you have a cooperative relationship with your spouse, it can be beneficial to ask him to accept service. You can make this request in person, by telephone or in writing. If you choose to mail the request, include all forms required by your jurisdiction, a letter asking him to sign the acknowledgment of service and a stamped envelope addressed to yourself for him to return the acknowledgment to you. Some states require the acknowledgment signature to be notarized; if this is the case in your state, you should mention it in your letter. It can be more effective to obtain verbal agreement from your spouse before sending the letter. Even if your spouse refuses to sign the acknowledgment of service, you may be able to serve your spouse by registered mail, depending upon the laws of your state. In Michigan, for example, you can ask a third party to mail the divorce papers to your spouse by registered mail, return receipt requested. When the mail is delivered to your spouse, he must sign a card in order to accept the letter. If he does so, this card is returned to you, and the person who mailed the letter can file proof of service with the court. The procedure varies significantly among states. In Washington, for example, you need the court's permission to serve by mail and must send one copy by regular mail and a second by certified mail.